Are you looking for an online course that will help you at work? Do you need a refresher course or training course that you can add to your existing training material? 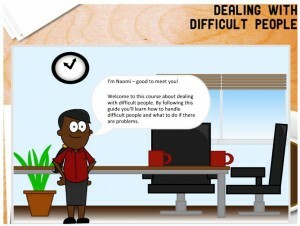 Our elearning course will be ideal for you! 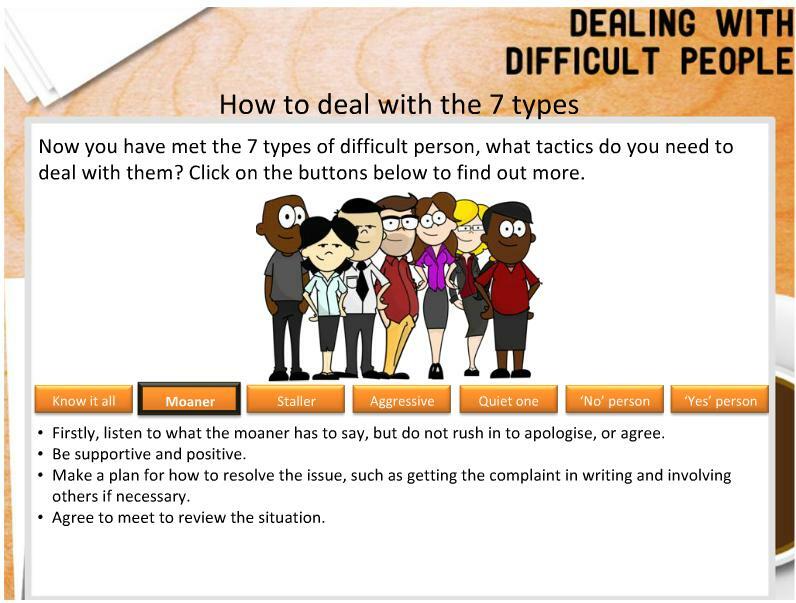 This elearning course we will look at how to deal with difficult people in the work environment. 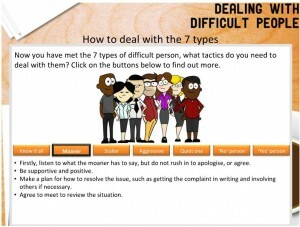 Of course, the tips you pick up should help you deal with difficult people outside your workplace too! Including an online assessment and SCORM compliant you can access the course via our website or via your own Learning Management System. If you are looking for an introduction into how to deal with difficult people or refresher this 30 minute course covers 5 steps to help you. - How difficult people are found everywhere! - What you can do to be in control and to avoid being the difficult person!